I have just received your “Notice to Inmate, Addressee/Sender of Mail Censorship & Appeal/Waiver Form” dated 12 December 2016. 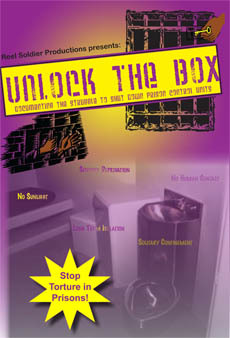 The censored contents are described as “One (1) newsletter – Contraband” and the reason given is that “newsletter promoting prisoner work stopages and additional anti-authority activities is not authorized as personal property.” While the item censored is not specified, I'm assuming it was issue 53 of Under Lock & Key, mailed to Mr. XXXXXX on 5 December 2016. I am requesting a review of your decision to censor the mail in question. In light of this, I hope you will see it as appropriate to repeal this decision to censor ULK, and deliver the mail to Mr. XXXXXX. The survey in question is merely asking prisoners to report facts about their facility regarding the use of solitary confinement. How this could be a legally justifiable reason to censor MIM Distributors' mail is beyond me. I am requesting a review of this decision and that you please deliver the newsletter in question to the subscribers held by NCDPS. 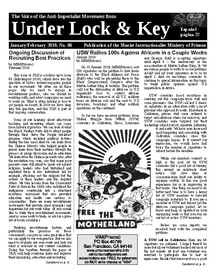 Appeal from IPRC's denial of Under Lock & Key, November/December issue Volume 53. 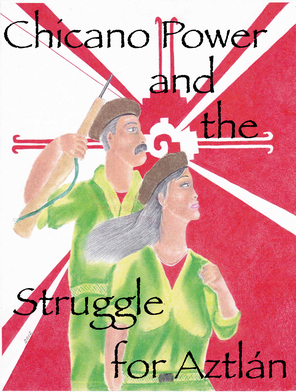 A national work strike was called for in the month of September to have the Slavery Clause removed from the Thirteenth Amendment to the United States constitution. Even the USA Today and Wall Street Journal covered that news, papers this prison gets. Those papers were not banned. thus, banning a periodical that is talking about a work strike that has passed, old news that this prison let through in news papers when the news was relevant and valid, is a willful exaggeration and falsehood just like the IPRC at this prison banned the November issue of the SF Bay View "lying" when they ruled pages 1 & 6 contained writings that advocated, assisted or was evidence of criminal activity of facility misconduct and racially inflammatory material or material that could cause a threat to the inmate, staff, or facility security when those pages had an article by publisher Willie Ratcliff encouraging prisoners whose BayView was banned to file grievances. On page 6 there was a sample letter for prisoners to use when writing to heads of Departments of Corrections. Since the IPRC willfully lied and the superintendent upheld that lie, I have no reason to believe this recent banning of Under Lock & Key is authentic because demonstrated credibility is lacking. See Exhibit "A," the pages of the Bay View which the IPRO banned and you upheld which is on appeal at grievance #655118. I am in receipt of your grievance and have consulted with appropriate staff while reviewing the publication. The publication you reference, Under Lock and Key (November/December 2016), was denied due to an article referencing issues that could be detrimental to the security of this facility. I have personally reviewed page ten of the publication and can state that the article specificaly poses a risk to facility security and encourages unauthorized group activity. Your attachments, as they relate to comments expressed by those that write for the Bay View have no bearing on our Department or the rules put forth by such. Based upon what is noted above, it is my decision to uphold the review committee's decision. I find that this grievance has no merit and is therefore denied.